Bear Cub is a one bedroom cabin complete with a king size bed, pool table, hot tub, jacuzzi tub, fire place, tv, complete kitchen, full laundry, 1.5 baths, charcoal grill and picnic table with views to go around. The perfect place for rest, relaxation and privacy. 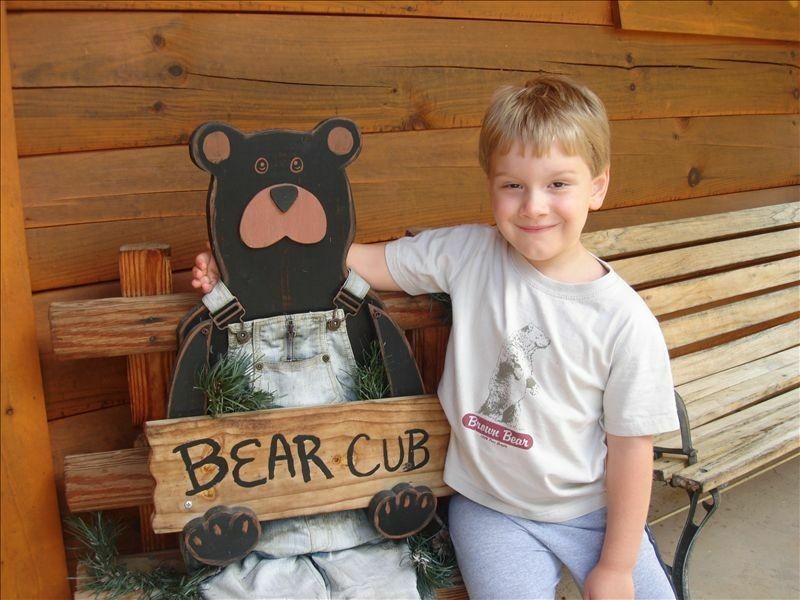 The Bear Cub Cabin is located between Pigeon Forge and Gatlinburg, TN, just minutes from the Great Smoky Mountain National Park. Clean and set to have a good time. Great, will do it again. The cabin was amazing! Everything was neat and clean! It was all we hoped for. Even though there are other cabins around it was surprisingly still private. The cabin is also close to town, so you don't have to go far for food and fun! Conveniently located to both Gatlinburg and pigeon Forge with all the amenities to make your stay enjoyable and rememberable. Photos do not do it justice. Cabin is Located Between Pigeon Forge and Gatlinburg.